Global Fishing Watch is a technology initiative that aims to highlight global fishing activity. It is a PYBOSSA-powered interactive platform that uses satellite data to inform the public about overfishing and make global fishing activity more transparent. GFW is a partnership between SkyTruth (the same team of developers behind FrackFinders), Oceana and Google Ocean & Earth Outreach. With team members in Argentina, Sweden, West Virginia and California, GFW represents a global effort against overfishing. Global overfishing is destroying ocean ecosystems. Nearly one third of marine fish stocks worldwide have been overfished and over 90% of the world’s fisheries are fully exploited or over-fished according to a 2014 UN report. Global fishing fleets operate far out at sea and their activities are extremely difficult to monitor. Operating in remote locations, vessels are difficult to track. Photo by Marius Fiskum. Almost all large ocean-going vessels are required to carry an Automatic Identification System (AIS), which periodically broadcasts a vessel’s location and identity. The system was designed for collision avoidance, however, satellites can use these signals to track the movements of large fishing vessels. “If you can see it, you can change it” states David Kroodsma, GFW’s Research Program Manager. A global view of fishing vessels in 2012. Image by SkyTruth. GFW provides an interactive web tool that will allow anyone with an internet connection to visualise the global fishing fleet in space and time, and reveal the intensity of the fishing effort around the world. This will enable: citizens to see whether their fisheries are being effectively managed; seafood suppliers to keep tabs on the boats they buy fish from; media and the public to act as watchdogs to improve the sustainable management of global fisheries; fisherman to show that they are obeying the law; and researchers to access a multi-year record of all trackable fishing activity. 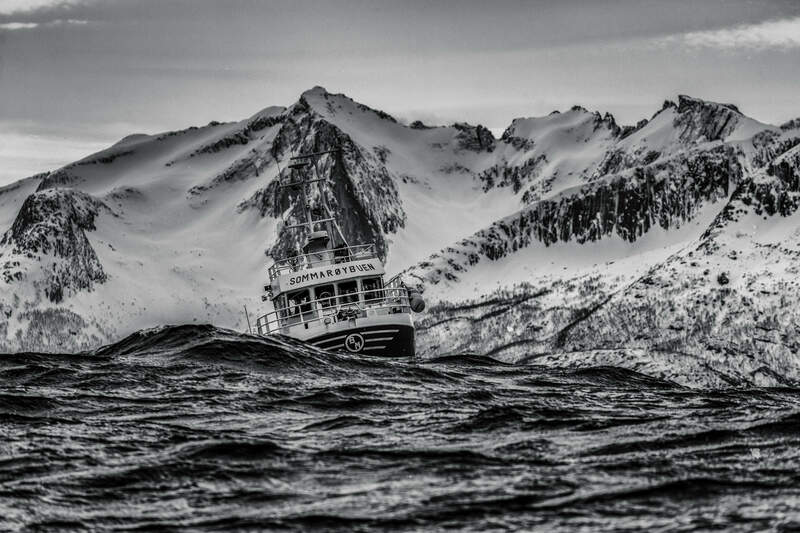 Is this Russion trawler off the cost of Namibia displaying 'fishing-like behaviour'? Image by SkyTruth. On 1 January 2015, the Phoenix Islands Protected Area (PIPA) – a swathe of unspoilt ocean located in the central Pacific between Hawaii and Australia that is the world’s largest UNESCO World Heritage Site – was officially closed to industrial fishing. GFW has been used to monitor the park to ensure fishing vessels are staying out. The video below shows how fishing vessels cleared the marine area. Interested? Want to help? Check out Global Fishing Watch’s brand new interactive website.